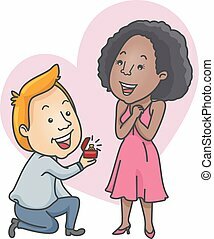 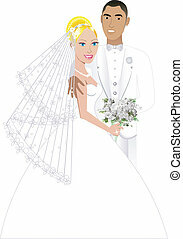 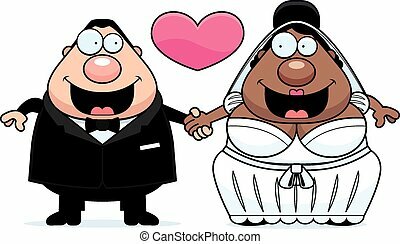 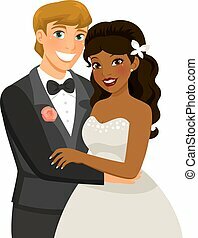 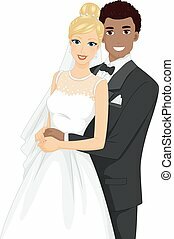 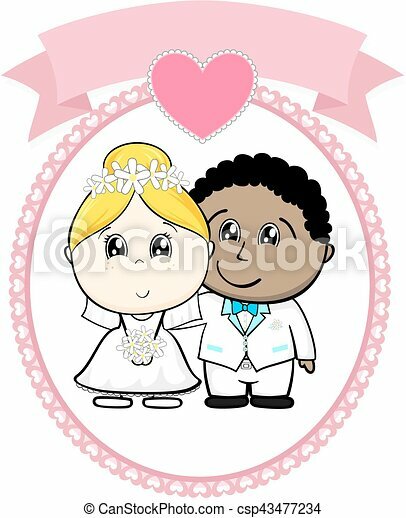 Interracial couple wedding. 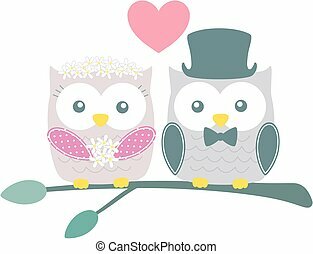 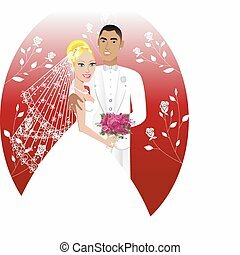 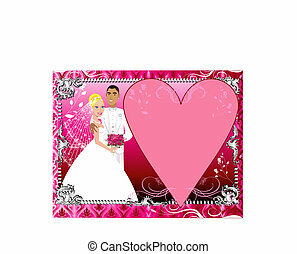 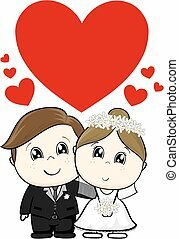 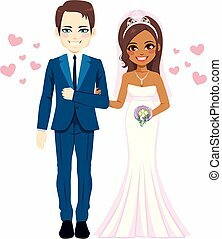 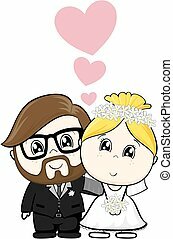 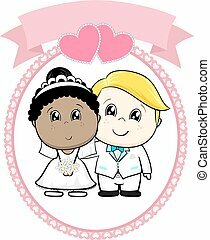 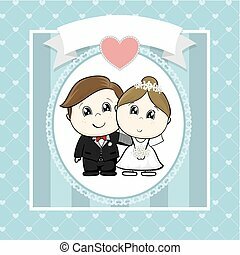 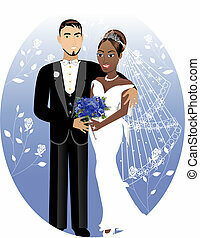 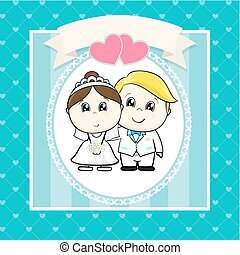 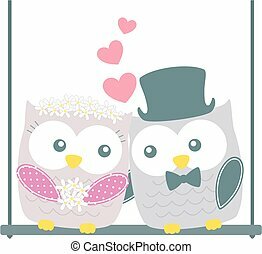 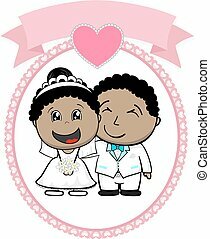 Interracial couple bride and groom with white suit on round frame whit heart and empty banner isolated on white background, ideal for funny wedding invitation. 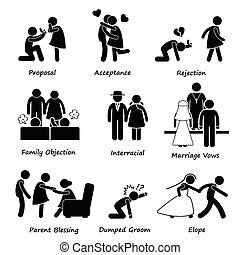 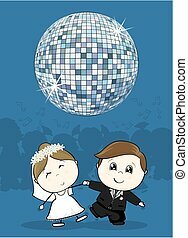 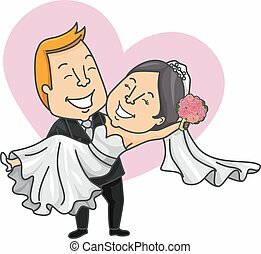 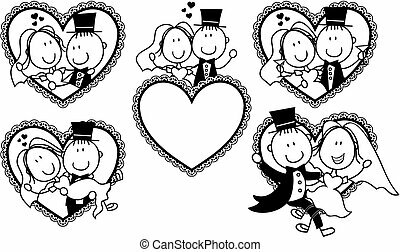 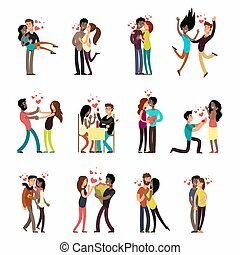 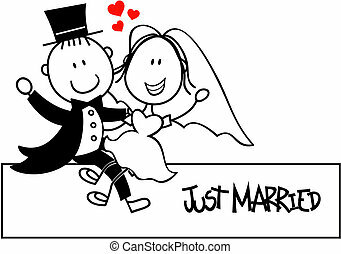 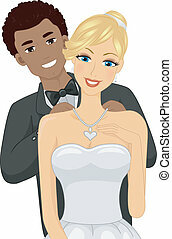 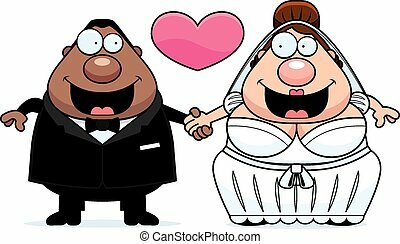 A cartoon illustration of a bride and groom holding hands and in love.